We all live in countries where one must obey the rules and regulations. No society can exist without laws. Rights and responsibilities are basics of legislation; they prescribe people’s behavior ensuring justice and the rule of law. Parental rights have also to be taken seriously. Every parent has to be familiar with parental rights and responsibilities as well as grounds for terminating parental rights in Illinois. Establishment of paternity is the first step towards being a legal parent to a child. The relationship between child and parent will be conducted regardless of the marital status of the parent. Parents, who live in marriage will have no difficulties with the establishment of paternity. But unmarried couples will face some additional requirements. Marry after the birth of the child. To legitimate a child, the parents have to marry before the kid is 18. To establish the paternity, the parent will need to present a marriage certificate. Voluntary Acknowledgement of Paternity. VAP is the document that confirms the paternity. It contains information about both child and parents. The VAP form has to be signed in by parents of a child and a witness. VAP is usually hand-delivered to the hospital where the mother comes to have a baby. If the parents are unmarried, VAP is the easiest way to establish paternity. Paternity action. To legitimate a child, one can fill in a complaint to establish paternity. The complaint has to contain substantial evidence on why certain man is the father of the child. Then, the alleged father will have to respond the complaint. Once the man agrees he is the father of the child, the paternity will be confirmed. Paternity order. Another way to establish paternity is to apply for paternity order. Family court deals with paternity orders. Paternity order has to be applied by a mother of a child. The application for paternity order has to be submitted in six years after the birth of the child. Almost every parent knows they are responsible for some actions of their kids. But what exactly is the parental responsibility law? Many states have already passed the law regarding parental responsibility. And Illinois is one of them. Parental responsibility law outlines the liability of parents and legal guardians. The latter are people chosen to be guardians of minors. Who are minors? Those are children, who are not younger than 11 and not older than 19 years old. So what does the law states? The Illinois parental responsibility law states that parents or legal guardians are responsible for the actions of their minor children. Here the next question may arise: are parents and legal guardians in liability for the actions performed by kids who are under 11? There is no direct answer to that question in the legislation. But parents and legal guardians may be responsible for the harmful actions of the kids. One should understand what kind of activity falls within the scope of Illinois Parental Responsibility Law. Parents and guardians are not responsible for every act of their kids. The liability is determined by some factors. In What Cases Parents Are Liable For Actions Of Their Kids? The liability is possible when kid causes accidents purposefully. In that case, the fault of a minor has to be confirmed. Under Parental Responsibility Law, the parents and guardians will be responsible for actual damages that are the consequences of the actions of the kid. Accidents caused by kid’s carelessness or negligence can’t trigger parental liability. Parental liability deals only with actual damages kid-induced purposefully. Parents would have to compensate medical bills, property damage caused by acts of vandalism, shoplifting and other damages. Parental Alienation in Illinois: How Is It Regulated? Parental alienation frequently occurs when parents are in progress of spit up or divorce. One of the spouses may manipulate or make the child avoid or even hate another parent. This involves talking bad about another parent when the kid is around. Sometimes it’s tough for a parent to hold their feelings inside. They usually draw kids into quarrels and discussion to show how bad the other parent is. Parental alienation is an unhealthy act, which, though, happens often. It can make the child psychologically ill or incapable to make own decision. Parental alienation may sometimes cause parental kidnapping in Illinois. An alienated parent may feel the need to communicate and spend time with his/her son. Deprived of kid’s attention, the parent may kidnap the child to get this attention by force. To handle the parental alienation in Illinois the parent has to gather all the necessary evidence of alienation to present them in court. One can’t just claim he/she is alienated. A court will require all the possible proofs to handle the issue and prevent future alienation. Another critical point of breakup or divorce is the allocation of parental responsibilities. Some parents mutually decide on the time each of them can spend with the child. When an agreement can’t be reached, the allocation of parental responsibilities, as well as parenting time, will be decided in the court. Illinois law outlines that every parent has to be allocated with enough time to take part in raising and facilitating the well-being of the kid. The parenting plan will help parents with that. It is an official document developed by parents, which appoints parenting time. This plan may reflect wishes, needs, and opportunities for both parents and child. The court decides the allocation of parental responsibilities. To claim allocation of parental responsibilities in Illinois one needs to fill in the form. Parent is required to mention information about themself as well as the respondent and add other details about kids and the claim itself. The petition form for allocation of parental responsibilities is available on the Illinois legal aid website. Court’s decision on allocation also regards the issue of financial support of the kid. If one parent is appointed to spend the majority of time with the kid, the other one will have to fund their child upbringing. Illinois state designates the amount of money to be paid. Once the kid is born, parents automatically acquire parental rights and responsibilities. But one can always reject such rights. Not many parents, though, do it. Cases, when state terminates a person of parental rights, happens frequently. A parent who doesn’t seem to care of the child will be terminated of his/her rights and won’t be able to take part in decision-making powers. The child will be left with another parent. In case both parents are terminated of their parental rights, the kid may then be adopted. Parental rights can’t be terminated for no reason. The rights will be terminated if the parent doesn’t perform one’s duties as a parent. To grasp this issue in detail, pay attention to specific factors, that may cause termination of parental rights in Illinois. Child abandonment. Child abandonment happens when the parent intentionally leaves the child without ensuring his/her safety and well-being. Child abandonment can be of two types: physical and emotional.Physical abandonment happens when a parent leaves the child at the specific place. Emotional abandonment takes place when parent neglect child and his/her need for attention and support. Failure to maintain contact with a kid. A parent, which is in the middle of custody disputes has to maintain the contact with the child. If no attempt to contact the child has been made for 12 months, the parent will be terminated of parental rights. Child abuse. In case child maltreatment happens, the parent will be deprived of parental rights. Child abuse and other forms of violence may harm the kid’s emotional well-being and cause physical health problems and mental illnesses. Mental illness or disorder. Long-term mental illness of a parent may lead to child abandonment and neglect. Children being raised by mentally ill parents tend to be unable to take care of themselves. Alcohol/Substance abuse. If a parent has an obsessive passion for drinking, he/she may be unable to raise and support the child. Alcohol and substance dependence of a parent encourages the kid to do the same, which may lead to harmful consequences. Certain crimes. If a parent has convicted crime against own child as well as another family member, he/she will be deprived of parental rights. No person accused of the cruel act of violence towards the child can continue performing parental responsibilities. Loss of interest in the well-being of a child. Loss of interest is one of the reasons for child neglect. When a parent doesn’t attempt to create an environment favorable for the well-being of a child and neglect parental responsibilities, it may be the cause to terminate parental rights. How To Sever Parental Rights In Illinois? Ask for the petition. Petition form can be obtained at the circuit court. You should fill in the form and add the detailed information about the case. Provide proofs. State precisely what behavior of a parent made you come and sign a petition. Include details and descriptions. State whether the adoption is desired. In case after termination of parental rights the kid will be left alone, you need to state whether adoption is desired. If any family members or third parties expressed the desire to adopt a kid, you’d need to mention that in the petition. Turn to a notary public to sign in the form. Once all the fields are filled, you should address to the notary public to sign in the petition. Request the circuit court to hand deliver the petition to a parent. An unfit parent should be informed about the petition. The circuit court will address the Illinois state sheriff to hand-deliver the petition. The circuit court will then announce the hearing date. Prepare documents and evidence and present them in the court. In the court, you will have to provide detailed information and evidence that prove the person is unfit to raise and support a child. How To Sign Over Parental Rights In Illinois? Every parent has a right to relinquish parental rights. But to exercise the right one should obtain approval of the court. Once the rights are terminated, the parent will no longer be responsible for the well-being of the child. A parent can also sign over parental rights to another person. That often happens when there is another person who wants to adopt the child. Parents who plan to terminate their rights should mind the fact it is not easy. Courts don’t usually allow to terminate parental rights, but if the parent provides evidence that the best interest of a child is met, termination and signing over parental rights will be permitted by the court of Illinois. The process of signing over parental rights starts with termination. To terminate your rights, you can follow the instructions added above. Then the person is willing to be a parent, will be able to adopt a child. Giving up parental rights in Illinois parent won’t be able to take part in the child’s life and make any decisions after termination. From the moment of termination, the person is longer a father/mother to a child. In most of the states, it is required for a parent to be involved in the process of minors’ abortion. The parent has to be notified or give the permission for the abortion of his/her minor daughter. The abortion law of Illinois doesn’t differ much from the rest of the states. But there are some features, both parents and minor children have to know. Can you get an abortion without parental consent in Illinois? Actually, yes. Teen doesn’t need the consent of her parents or guardians to get an abortion. But the abortion law of Illinois requires an abortion provider to notify the adult family member that a minor is going to have an abortion. The notification has to be made no less than 48 hours prior to the abortion. An abortion provider will call the family member to notify. If the number can’t be reached, the adult will receive a letter. After an adult member of the family is informed about the abortion, the minor is allowed to end her pregnancy the chosen way. In case minor can’t inform their family members about the decision to get an abortion, she should address the court to get legal permission. The identity of minor won’t be disclosed by the court. In case teen has permission to end the pregnancy from other state’s court, it won’t be valid in Illinois. She will have to turn to Illinois bypass system for another permission. How To Protect Your Children From Rash Actions In Illinois? It’s always difficult for parents to find out their daughter wants to terminate the pregnancy. But it is not the only challenge parents of minors face. Raising a kid is a great responsibility and adult has to be ready to deal with problems on a daily basis. But sometimes parents just can’t cope with the child. Many adults work hard and can’t allow themselves be with their kids 24/7. That’s why many parents from Illinois city use parental controls tools. What correctly urge parents to install parental control app on their child’s phone? Bullies at school. School is the place where kids spend most of their day. Here kids meet different children. Some of they can be rude and cruel. Not every kid would tell the parents he/she was bullied at school. But their phones may contain a lot of information about it. Online dangers. The Internet makes our lives easier. But at the same time, it hides many risks, which can be harmful to the child. Inappropriate content and online harassment aren’t only things that may wait for your kid on the web. Calls from strangers. An adult person can understand how to react to a stranger calling. But kids can’t always deal with someone who speaks deceitfully over the phone. That’s why children are often tricked by strangers who pretend to be someone else. There are many other reasons that make parents from Illinois go for parental control solution. But not only Illinois citizens want to save their kids from possible dangers. Every parent regardless of residency takes care about the safety of a child. The mSpy parental software is the tool to help Illinois city parents perform that important task. mSpy software grasps many activities that can be performed on the smartphone. Social media. Majority of kids uses Facebook, Snapchat, Instagram and other popular social media. Not only they exchange messages there. Social media platforms are the place where people can hide their actual faces. With the mSpy app, parents can check who their kids text with and what media they share. Current GPS location. Parents can’t stay near their kids forever. But who knows which neighborhood your son/daughter decides to visit one day? Identifying the real-time location of the child, parents will be able to come and pick up the kid any time it’s necessary. Installed application. Not all the apps children download are right for them. Some of the applications are enormous time-wasters, while others may be just unsafe. mSpy grants access to the list of installed applications to check which apps your kid uses often. Call logs. Whenever somebody calls your kid, mSpy apps will note duration of the call and other essential details. To find out the phone numbers of the people who call your kid, browse the contacts list. Incoming calls restriction. Restrict specific numbers from calling your kid’s phone. 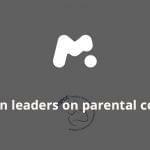 Using mSpy parents can protect their kids from strangers. After adding the phone number to the list of restrictions, the number holder will be unable to contact your child. Browser history. Browser history may contain many compelling details. Parents now can see what their kids search online. If you think your kid may visit dangerous sites, you will be able to block them with mSpy. Not only online safety is paramount. Parents have to be aware of different things that may wait for their kids in the real world. Children overcome problems differently. One can adapt oneself to the situation; another may be completely broken. To prevent the problem, it’s better to address it immediately. Knowing there is something wrong with your kid you can take actions to make things better. But how to understand kids are having the hard times? They don’t speak a lot. Majority of children are very active. Though, some children prefer to stay focused and quiet. But if you see your kid is unusually calm, he/she may have a heavy heart. They have bruises. Bruises that occur all over the body of the child may indicate violence and abuse. Because of the fear to be judged, kids often conceal they are being bullied. They suffer on their own not be able to get help. They suddenly lost interest in their hobbies. All children like doing different things. Kids love being occupied by the activity, which brings fun and excitement. If your child lost interest in old hobbies, maybe someone might make force them to do that? There can be many reasons for the kid to feel blue. But you should notice them timely and help your child handle them. The mSpy app won’t help you understand how to control kids. It will become your constant assistant in creating the safe environment for your child.